Joyce has served a the Managing Editor of Splinter since 2015. She previously worked for outlets including TIME.com, The Daily Beast, and Mother Jones. 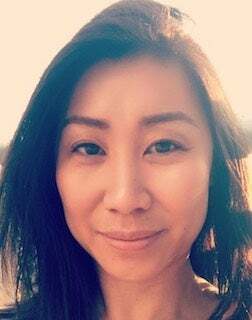 Joyce Tang has been named Deputy Managing Editor for Gizmodo Media Group. In this role she will join the editorial executive team that oversees editorial operations for Deadspin, Gizmodo, Jalopnik, Jezebel, Kotaku, Lifehacker, Splinter, and The Root, some of the web’s most original media brands. GMG’s Editorial Director Susie Banikarim made the announcement to staff this morning, see her email below. In addition, Splinter Editor-in-Chief Dodai Stewart announced that Aleksander Chan has been promoted and will succeed Joyce as the site’s Managing Editor. I am excited to announce a new addition to the editorial executive team. Joyce Tang will join Alex and I as Deputy Managing Editor. Joyce has been the managing editor of Splinter (aka the site formerly known as Fusion) since 2015. During her time at Fusion, Joyce spearheaded digital coverage of the Iowa Democratic Forum with Hillary Clinton, Bernie Sanders, and Martin O’Malley, edited a series on How to Survive Trump’s America and oversaw news events such as Charleston, Orlando, and the Women’s March. She has also been instrumental in managing the recent migration to Kinja, rebranding and relaunching the site and worked closely with EIC Dodai Stewart to set editorial strategy. Previously, Joyce edited the Ideas section for Time, which features opinion and essays on everything from politics to pop culture. She also oversaw the Culture section and iPad edition while at Newsweek, and breaking news at The Daily Beast. She started her career in journalism at Mother Jones, and is a graduate of Columbia’s Graduate School of Journalism. Joyce brings sharp editorial judgement, demonstrated leadership skills, and great enthusiasm to her new role. On a personal note, I’ve always found her to be an incredibly insightful and thoughtful colleague who tackles any challenge with grace. I am certain you are all going to enjoy working more closely with her. Please join me in congratulating Joyce. She will report to Alex.